Gauteng police say they are confident that the suspects who stabbed a Mondeor High School learner to death will be swiftly brought to justice. 19-year old Khulani Mathebula was fatally stabbed in the chest while he was walking to school, just after 7 o’clock on Tuesday morning. It’s still unclear what the motive for the attack was, but it’s believed his cellphone was stolen. Major General Max Masha says a special team of detectives have been assigned to the case. The principal of Mondeor High School, south of Johannesburg, says learners and community members need to rally behind Khulani Mathebula’s family. 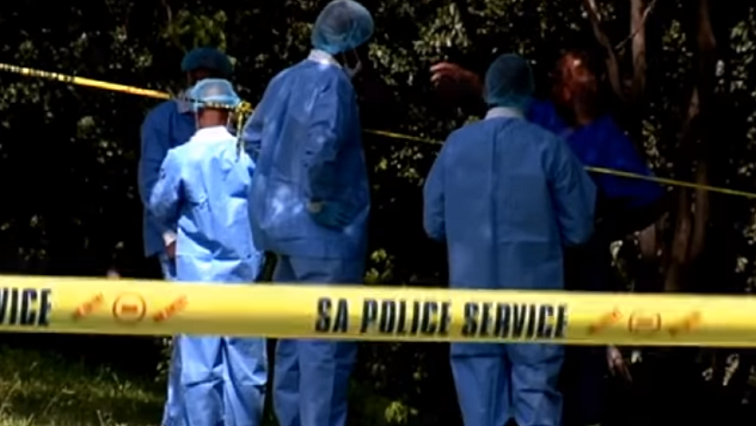 The 19-year old Grade 11 pupil was stabbed to death on his way to school on Tuesday morning. Details surrounding the incident are still sketchy. However, police say they are confident that the suspects will be arrested soon. Principal Vangelia Nicolau, who was one of the first responders to the scene, says she is devastated by the incident. The Johannesburg South family is in deep mourning after their teenage son was stabbed to death en-route to school. The slain student’s distraught mother sobbed uncontrollably. It’s a mother’s worst nightmare; having to identify the mortal remains of her only child. Police say that the teenager was attacked by a group on his way to school. Reliable information is that police are seeking three pupils from the nearby Randeor High School to assist their investigations. It’s a school for children with special needs. Police are appealing to the public to come forward with information. Khulani Mathebula’s uncle, Themba Chauke, says that his nephew had a bright future ahead. The Gauteng Education Department says it’s disturbing that three pupils were identified in the vicinity of the scene. The school’s principal was also inconsolable. The child died in her arms. On Sunday morning, a Kimberley pupil was stabbed to death and robbed of a pair of shoes that he wore to his matric dance. The post Police confident suspects in Mondeor murder will be arrested appeared first on SABC News – Breaking news, special reports, world, business, sport coverage of all South African current events. Africa's news leader..